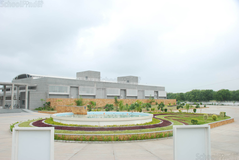 Among great fanfare on the 11th of April 2004, the inauguration of DPS Gandhinagar by the hands of Honorable Chief Minister of Gujarat, Shri Narendrabhai Modi in the presence of Honorable Pro-Vice Chairman of DPS Gandhinagar, Mr. Ramesh Goenka, was welcomed with overwhelming responses. 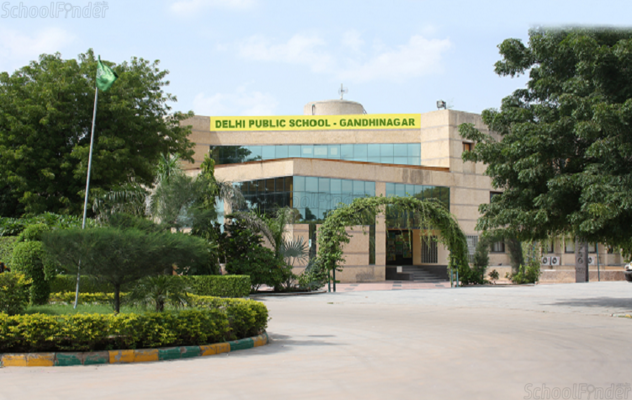 With provision for Nursery and KG schooling, DPS Gandhinagar offers the 10+2 years of schooling in affiliation with the Central Board of Secondary Education (CBSE), which is the largest School Education Board in the country for primary, secondary and higher secondary education. 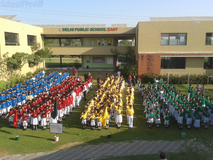 A basic admission test will be conducted on specified date for eligibility of that particular class. 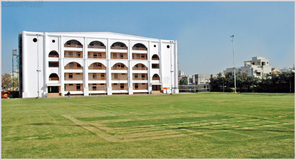 Only those candidates who clear the written test will be called for an interview, both parents are required to be present at the time of the interview\nThe admission would be confirmed only after the final interview.\nOnly meritorious students will be considered for mid term admission on grounds of transfer or change of school.\nThe school reserves the right to admit a student in the appropriate class after examining the student. Even after the admission is granted the student can either be adjusted in a lower or higher class, which ever the case may be, depending upon the student’s ability at the discretion of the authorities. 1. Latest Coloured Passport Size Photograph Of The Student.\n2. Photograph Of The Parent With The Child In [5cm X 3.5cm]\n3. Photocopy Of Birth Certificate (attested).\n4. Original Medical Certificate Of Student.\n5. Photocopy Of The Result Of The Previous Class (attested).\n6. In Case The Registration Form Is Filled By Guardians Other Than Parents, It Should Be Clearly Indicated\n7. Address Proof :-Pan Card/Driving Licence/Electricity Bill. 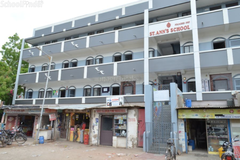 Best schools in Ahmedabad, Best schools in Adalaj, Best CBSE schools in Ahmedabad, Best CBSE schools in Adalaj, Best Coed schools in Ahmedabad, Best Coed schools in Adalaj, Best English medium schools in Ahmedabad, Best English medium schools in Adalaj.